How do you choose the best live chat software with so many chat services available on the market? Here are 30 reasons that could sway your opinion. Read on to see why LiveChat is the best live chat tool out there. It’s time to cut cord the and get the phone off your desk. With LiveChat, you will be able to handle several cases at the same time. When was the last time you could do that over phone? Initially, our goal was to decrease the percentage of inbound phone calls to our call center while retaining or even improving the total number of customer interactions. We were able to realize and surpass these goals within the first month of implementing LiveChat. Get hundreds of free leads. With our best live chat software, you won’t have to spend a dime on acquiring new leads. Every visitor that chats with is a potential lead. What’s more, they are already interested in your business. The best part? You have their email. All that’s left to do is to follow up. Our expectations were for LiveChat to help increase our leads by a little and had no idea that would revolutionize the way we capture leads. LiveChat allows you to be inches away from new leads at all times. We’ll have your back from the very start. 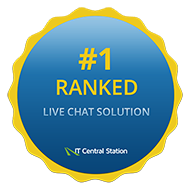 The best live chat software needs the best support team and we have that covered. We will help you make live chat a success in your company. Get ready for customer service best practices, knowledge base articles, live demos, 24/7 chat support and webinars because we’re sending everything your way. The LiveChat team was also always there to help support us through the many questions we had at the time. We still work closely with LiveChat to provide them feedback that helps them to improve their software, which allows more consumers to have positive customer experiences. Your customers crave personal service. There’s nothing that says “we love our customers” more than a quick, personalized response on live chat. Transfer the personal experience from a real shop online and start creating amazing customer service experiences. Customers prefer to use it. They will get real people with real answers. To me it’s the person who stands in front of the Gap as you walk in saying: How can I help you? Email? We call it snail mail. If you want to offer the best customer service, you need to make it fast. Customer service software from LiveChat makes you available in real time. Change your response time from hours to seconds. We’ve had many customers tell us how much they enjoy being able to chat with our product specialists opposed to having to pick up the phone, or wait several hours for an email response. Still not convinced that LiveChat is the best live chat software? Here are 25 more things that may change your mind. Managers can easily jump in and save the day. Rookie agents can be couched by seasoned managers using the supervision mode. It allows managers to covertly join chats and whisper advice to the agent. If need be, managers can take over and finish the conversation. I was supervising our agent, who was giving wrong answers, so I was able to take over the chat. Later, I let the customer know I was the owner and I totally changed the direction the chat was going into. It took me like 20 minutes, but the result was awesome and the customer was amazed. Get emails out of your system. If you’re using the best live chat software, do you even need to use email? LiveChat on your website will allow you to close more cases in real time. It’s time to send the email on a long-deserved retirement. LiveChat is extremely useful in mitigating the number of support emails we get. We estimate that LiveChat’s cut our email volume by at least 10%. Best of all, our paying customers get instant answers to questions that might otherwise get stacked in a support queue for as long as 24 hours. Try seeing how much the competition would charge you for all the features available in our basic plans. We don’t charge you for crap you don’t need. Only the best, business-oriented features for immediate benefits to your business. Trialling different solutions we’ve found LiveChat not only the most cost-effective one, but the most feature-rich, scalable customer communication platform. Get feedback after each chat. You won’t have to guess what steps you need to take to make customers happy. You can ask customers about their opinion after each chat to make more informed customer service decisions. Customers have also mentioned that they feel part of the conversation due to their ability to leave feedback at the end, this has also allowed us to understand where we need to improve to increase our customers satisfaction. 26,000 customers can’t be wrong. Businesses from over 150 countries and 20 industries use LiveChat daily to get in touch with their customers. That can’t be simply a fluke. Just see how highly they rate our service – we’re the best live chat software! See why they think we offer the best live chat software. Try it for free for 30 days and make your own judgment. We promise you won’t be disappointed. Brace yourself for results from day one. As you might’ve imagined, you don’t have to wait long to see the results of the best live chat software. If you have traffic on your website, your customers will start using it immediately. Better get ready! LiveChat was something new to use, we did not know what to expect. It turned out the customers did not have any problems with the new addition – they started pouring in from day one. LiveChat is a hit. LiveChat reports help in data-driven decision making. It would be hard to offer best live chat software without best-in-line customer service metrics. The customer service reports in LiveChat won’t make you scratch your head. Instant access to the most most impactful statistics. No vanity metrics. LiveChat has identified the metrics that matter most and gotten rid of the clutter that other services display in their reporting. This means you’re easily able to digest the metrics that matter most and make informed decisions on the performance of the department. Make it yours with rich customization options. What is the best live chat software without the best customization options? You can make LiveChat an integral part of your website. Create a unique look for your chat window and make it reflect your brand’s image. What we really liked about LiveChat was its clean, customizable chat window. It really was a key point, because a simple CSS edit totally changed the way it looks, and it truly feels like a part of our website now. To create the best live chat software, our designers got rid of all the unnecessary features our competition raves about. The sad truth is that, apart from providing another buzzword on their websites, they don’t really contribute anything in terms of customer satisfaction. Prior to using LiveChat, we did explore and integrate a few competitors in the system but we found a lot of them to be complicated, bloated and a little on the slow side. We went with LiveChat because it can be customized completely to your own needs and preferences. You will know exactly how much you make off LiveChat. Set up goals you want to achieve and see how LiveChat helps you reach them. Whether it is a sale, a signup or a filled out form, you can clearly see how much of your company’s success comes from LiveChat. We regularly track how many of our customers successfully checkout on our website while or after communicating with us via LiveChat. The ability to easily view whether or not we achieved this goal helps us assess how supportive LiveChat is for our customers. Keep up with the trends in customer service. 10 years ago you would pick up a phone to contact a company. 5 years ago you would use an email. Today, customers go straight to chat and come to you. Make sure you’re not left behind and go for the best live chat software out there. Customers have moved from primarily communicating via the phone to email, and now from email to chat. It lets you look into your customers’ minds. For our next trick, we will let you see what your customers are thinking. Message sneak-peek shows you what customers are typing in LiveChat – before they send it over! Get a head start and reply with record-breaking speed. Message sneak-peek allows operators to quickly gather information before the client sends their message. This saves lots of time. Quick road to great customer satisfaction. The best live chat software can’t be complicated. This is why you won’t need weeks to learn LiveChat. Your agents will be able to handle their first chats minutes after launching the application. And it will only get better. It was important that it was a fuss-free solution, easy to learn and easy to use for both our team and the website visitor. We did not want something we had to faff about with trying to learn and deploy so that our team could then get on with delivering the extra reassurance and priority assistance to clients live on the site who were in the midst of the research or booking journey. Get leads not only from ads. Running any PPC campaigns over AdWords? The best live chat software will help you net even more leads. Every chat you get is a potential lead you get at no extra cost. Compared to our PPC spending the extra leads we now get easily equal a savings of over $12,800 per month, for the cost of a live chat seat. These leads bring in an additional $65,000 of business each month. Recognize any of these? They already think LiveChat’s the best live chat software out there. But hey, you shouldn’t just go for what worked for these companies. Give LiveChat a go and see for yourself if it’s reputation is justified. Still not convinced? Wow, you really drive a hard bargain. That’s OK though. Here’s another 10 reasons why you should give LiveChat a try. No cost of contact for customers. Customers who need to get in touch with you will always have to pay for the contact when using the phone. Even if you offer toll-free numbers, the only thing free about them is their name because you will need to pay for them every month. LiveChat gets rid of that completely. No strings attached, no additional costs. Customers find it particularly useful to have instant one-to-one sessions on LiveChat rather than picking up the phone, which would entail expensive international calling charges from their end. Save carts that normally would be lost. You no longer have to lose all the unfinished transactions just because the potential customer didn’t get help in time. LiveChat allows you to detect and react in situations when a potential customer is inches away from making a purchase and needs one more explanation to do it. Whenever a customer can’t find our terms or gets stuck while completing the order, a chat window pops up and one of our agents is able to provide all the necessary information and see the order to its completion. Know your customer’s story before the chat even starts. When using the best live chat software, you don’t have to ask what the customer did or did not do on your page. See every page the customer has visited and use the saved time to prepare a faster response. Keep tabs on how your team is doing. We won’t keep you in the dark. LiveChat will send you daily reports letting you know what is happening on your chat. See how well your agents are doing, how many chats you got and what is the average satisfaction level of customers using your live chat. One of the best features is the daily report showing us the level of customer satisfaction from our conversations. This allows us to go back and review the conversations between our agents and our customers allowing us to do customer research and monitor the quality of the customer service we provide. Get an immediate return on your investment. When it comes to ROI, gold is no longer the go-to investment idea. You’ll be much better off by investing in great customer service offered with the help of the best live chat software. 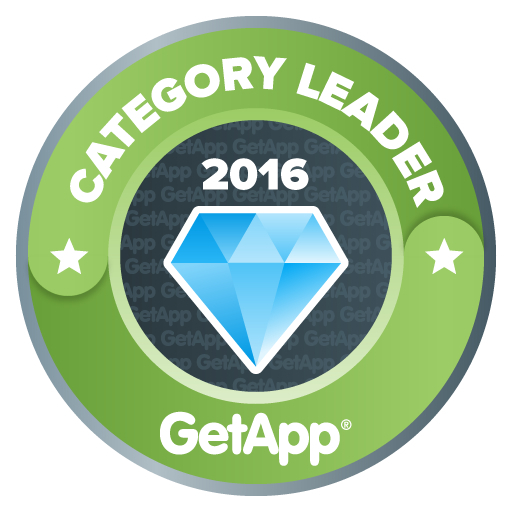 Increase your revenue with the most cost-efficient approach to customer service. I sincerely believe that if you have a website with traffic and you are not using LiveChat then by starting to use it you will experience an ROI in minutes, rather than days or weeks or months. If we had to calculate the cost savings it would not be expressed in terms of the phone bill or systems, but in staff costs because one person can handle three chats simultaneously. Always have a reply ready. Canned responses provide an easy way to answer popular questions. Type in the shortcut for the answer and boom, you can bring up several pre-made paragraphs and send them over to the customer. Yet another tool that will make your agents more efficient. We’d probably need more agents if it weren’t for the canned responses. Customer who chat buy more. The extra bit of information will help your customers make better buying decisions. Dispel any doubts and make sure you are able to convert all of your leads into paying customers. We found people who engaged in chat had an ecommerce conversion rate 1000% higher than non-chat users. And when customers buy over chat, they make much larger orders. The best live chat software will help you maximize the value of each order. The more information you can offer through LiveChat, the bigger orders your customers will make. From the sales side, customers who use Live Chat on our site are 4.85x’s more likely to make a purchase, and their per-session value as measured in google analytics is almost 400% higher than the site average. You are not tied to your desk. You can bring the best live chat software with you and help your online customers anytime, anywhere. Our mobile applications will free you from your desk. You will be also able to snap a quick photo of a product for a client without interrupting the chat. We use tablet app so we can snap in showroom pictures and send it to customers right there on the spot. Always at an arm’s length. With the best live chat software, help is always one click away. No matter where your customers are on your website, they will be able to ask for help without leaving the page. LiveChat helps us win new businesses by being able to help people ‘on demand’. Customers love using it as they feel we are always near if they need us. Bonus reason for being the best live chat software. There’s nothing that will you convince you better that LiveChat is the best live chat software than your own experience. Give it a go during the free, 30-day trial and make your own opinion. You have nothing to lose and the best customer service to gain.